Over the past fifteen years regular and intensive studies of coral bleaching have been a major focus of the Marine Ecology Unit. Niphon Phongsuwan and his coworkers first observed bleached coral in the early 1990s. Since then they have continued to map and monitor hundreds of bleached coral sites with special emphasis on their patterns of recuperation. On a global scale the cause of coral bleaching has been attributed to various factors. However high water temperature is considered to be one of the major causative events. Increases in water temperature on a global scale have occurred periodically especially in response to El Nin~o, an oceanographic event well known to affect global oceanographic conditions and climate. These warm water years have been documented by PMBC researchers to affect reefs in the Andaman Sea of Thailand. 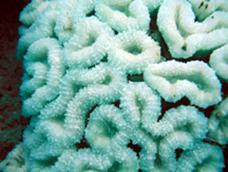 Reef building corals require coral polyps to play host to symbiotic algae called zooxanthellae, which impart color to the corals. Bleached corals, having lost their zooxanthellae, may recuperate by re-claiming them or by recruitment of new larvae spawned from sexual reproduction of living coral polyps. Coral polyps may live for a few weeks without the symbiotic zooxanthellae but if they don't become re-infected by the zooxanthellae, the coral polyps will die and the reef becomes solid substrate. 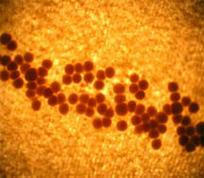 The substrate then becomes available for attachment by other invertebrate organisms and algae. Sometimes macro algae or seaweeds dominate the bleached coral site and then the reef becomes an "algal reef" instead of a "coral reef". This means that the productivity of the reef comes from the seaweed photosynthesis rather than the zooxanthellaee photosynthesis. 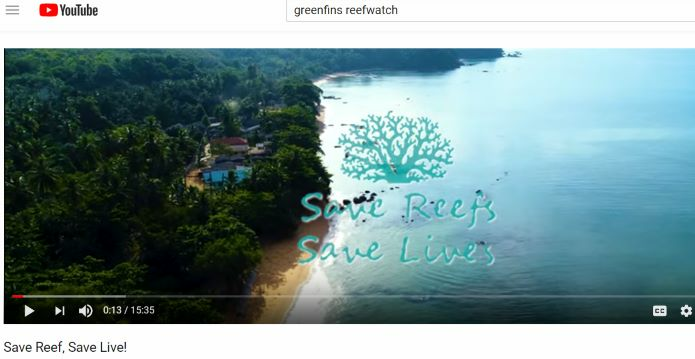 Phongsuwan and his team of divers have observed all of these possible reef recruitment patterns. 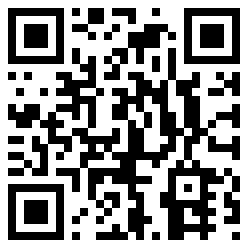 They have records of each site and can calculate the rate of recuperation of known species from particular locations. In some cases they know the history of a particular coral head. 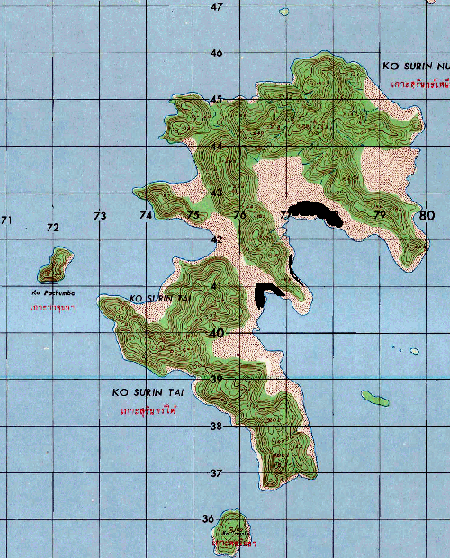 One study site of the Marine Ecology Unit program is in the Surin Islands (09N, 98E) . As part of the Thailand National Park system these islands and the surrounding waters are protected and remain in pristine condition. There is no significant terrestrial runoff and no commercial fishing nor is collecting of marine organisms permitted. Phongsuwan has made extensive surveys of the Surin Island reefs since 1989. 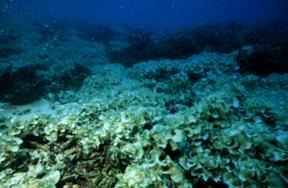 He first observed bleached corals in 1991 (Ukkrit, 1993). 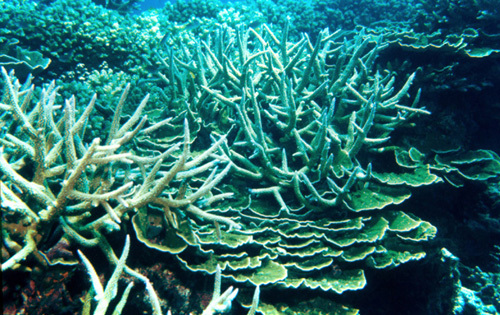 An extensive area of bleaching included numerous species of coral (at least 68 species were bleached from various sites in the Andaman Sea). About 36,000 m2 of the bleached reef was invaded by Padina in the upper subtidal shallow zone from about 5 to 15 m depth. The intertidal zone was free of Padina. Subsequent bleaching was observed during warm water years in 1995 and 1998. 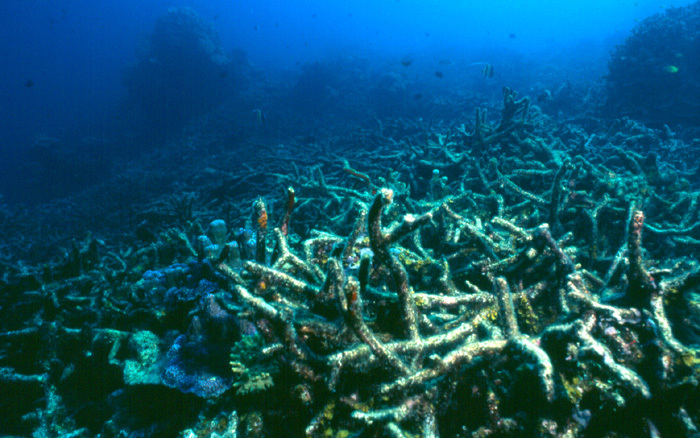 These events, especially in 1995, killed extensive areas of coral. Map of the Surin Islands. Areas in black are the sites of Padina overgrowth. An "Algal Reef " vs. a "Coral Reef"
In 1997 during a regular survey of coral reefs of the Surin Islands Phongsuwan's group observed a dramatic change in the bleached area. The reef had become densely overgrown with a fan-shaped, brown alga about 10 cm in size. The reef had become an "algal reef" dominated by the seaweed, Padina. Seaweed overgrowths on reefs are well known but they are usually a turf community of small filamentous algae, which often becomes a habitat for various fish, such as the damsels, and invertebrates. This was the first observation of this particular organism acting as an invasive seaweed on coral rock. Because of the extensive overgrowth and abundance of a single organism it was obvious that recruitment of the seaweed in the area was very successful and the conditions were highly favorable. Also it was clear that the usual grazers such as fish and invertebrates, particularly sea urchins, were not controlling the Padina population. With this seaweed dominating the substrate, coral larvae cannot become established. Also living corals may become shaded by the Padina preventing the zooxanthellae from providing the support for coral growth and reef building. Because of the various unique circumstances of this population of Padina, Phongsuwan decided that it could be meaningful to understand the nature of its reproductive success. In January 2003 a collaborative study with Professor Larry Liddle from Long Island University in New York, USA, began. The primary goal of the study was to compare the reproductive profile of the Padina population in the Surin Islands with other natural, controlled populations in the Andaman Sea especially around Phuket. During four months in 2003 and 5 in 2004 the study has continued. Populations of Padina from the Surin Islands and regions around Phuket and its offshore islands were sampled. Since Padina has three stages in its life history the samples were characterized by the percentage of each of the male, female and sporic stages. It might be expected for example that a particular population would have 50:50 males to females or be dominated by all sporic plants. However, after extensive observations from 12 or so sites over two years it was found that often populations were dominated by one stage or the other. In some cases there would indeed be 50:50 males to females. Interestingly often specimens from the Surin Islands were sterile, having no male, female or spoic reproductive cells. 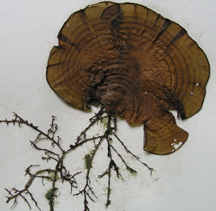 Also some specimens can grow vegetatively from basal root-like holdfasts. Such altenative strategies of reproduction could explain the striking success of Padina. Several questions arise from these studies. Are the grazer populations intact? Although the fish population seems to rich and balanced - Is the sea urchin, a major grazer, active? Does Padina have chemical defenses that deter grazers? Does the unusual reproductive cycle contribute to the efficiency of it success as an invader: Where do the spores and zygotes originate from? Will the population continue to maintain itself over many seasons and years? Will artificial removal of Padina from areas of the reef significantly increase the recuperation of this dead area on which coral larvae may settle? Some of these questions are being investigated by the PMBC Marine Ecology Unit and are long term. For example, Padina has been already been removed from one area of the reef. It takes some time to assess whether the Padina population will become reestablished or if coral larvae can begin to grow at this site. Satapoomin U. 1993. Response of corals and coral reef to the 1991 coral reef bleaching event in the Andaman Sea, Thailand. Master thesis, Department of Marine Science, Chulalongkorn University. 116.pp. Healthy reefs around the Surin Islands are rich in coral diversity and in excellent condition. Close up of the bleached coral, Lobophyllia hemprichii, one of many species affected. Dead reef after a major bleaching event in one part of the reef system. Padina covering the dead coral after bleaching. A Padina frond with reproductive bands and a holdfast, which can reproduce vegetatively. A band of mature oogonia on a female plant. There are separate male and sporic plants as well.